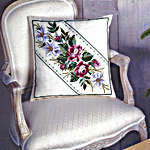 A lovely flowery cushion which would be ideal for a bedroom. The large scale black and white chart is printed 10 stitches to one inch with key on an A3 sheet. Worked in only whole cross stitch and a little backstitch on 8 count Aida, this is quick to work. 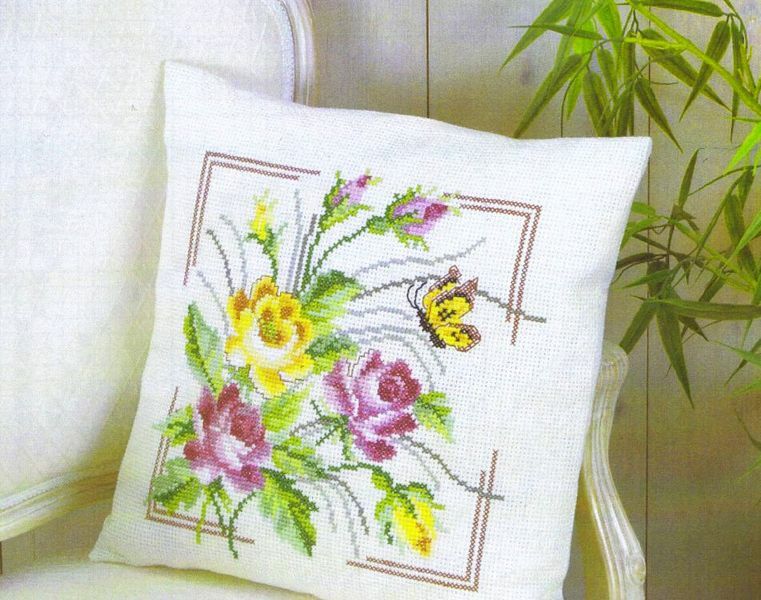 Pearl cotton is used for the flowers and leaves and outer border with the inner border in stranded cotton. See also the matching table runner.